Today, the red-bellied woodpecker is indeed a regular breeder here in the metropolitan area. The bird nests and fledges young in Brooklyn Botanic Garden, Prospect Park, Central Park, and almost every other large park nearby. Its range has been extended all the way to southern Canada. 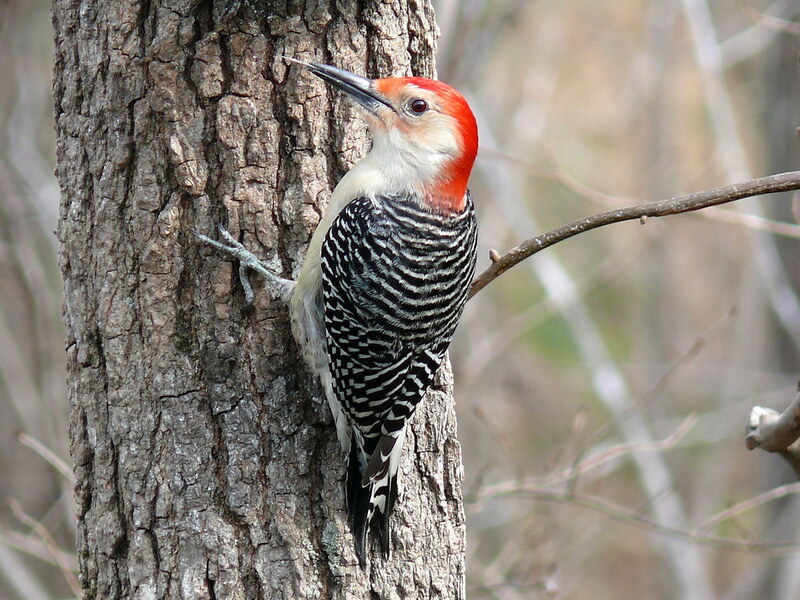 Most birds are undergoing population reductions, but not the red-bellied woodpecker. Instead, it seems to have adapted very well to the changing environment, withstanding habitat destruction and the challenges associated with climate change. One possible factor: These woodpeckers are frequent visitors at backyard feeding stations. They love suet—especially peanut butter suet—and feed on black oil sunflower seeds that people often stock in their feeders. They are also essentially nonmigratory and therefore not faced with the stresses of moving from one location to another twice a year. This bird is noisy, colorful, a good size, and a pure delight to watch and appreciate. For attracting a mate, it likes to drum its beak on hollow logs, branches, snags, aluminum gutters or anything that makes a lot of sound. Newbie bird-watchers often see a red-bellied woodpecker and say, “Oh, look at the red-headed woodpecker!” It is true that the red-bellied does have a lot of red on its head, but it is nothing like the red-headed woodpecker, a much rarer species. Seeing the two species together will quickly settle the question of who is the red-headed and who is the red-bellied woodpecker. The red-bellied woodpecker gets its name from the small amount of red on its belly, but it’s true that it’s hard to see unless you take the bird and turn it upside down, which is unlikely to occur. However, it’s fairly easy to identify by the zebra striping on its back. I have heard some people refer to this bird as the “zebra-backed woodpecker” to try to avoid the confusion. Native American people referred to woodpeckers as “thunderbirds” because of the loud drumming sounds they produce. 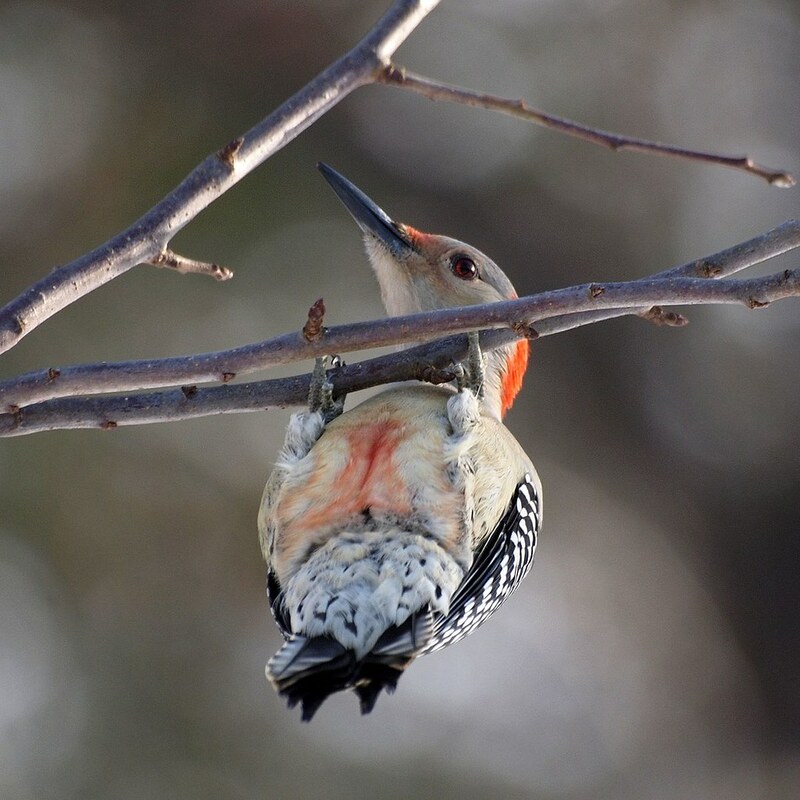 Late April, during breeding season, is the perfect time to see and hear a red-bellied woodpecker in a large city park or public garden. After locating the bird, I recommend that you just close your eyes and listen to appreciate the “thunder” it creates. Thanks for this column. I have a question—there are several crabapple trees in the Osborne Garden that appear to have literally HUNDREDS of tiny holes drilled into their trunks. I have never seen yellow-bellied sapsuckers here, although I have seen a downy on the wisteria pergolas. I’m wondering, do you have any knowledge of these holes, and if so, do you think they’re the result of a bird’s “work”? I’ve noticed the markings on some (not all) crabapples on east and west paths of the Osbourne. Melanerpes carolinus. Photo by Russ. A female red-bellied woodpecker (Melanerpes carolinus) with its belly visible. Photo by Ken Thomas. 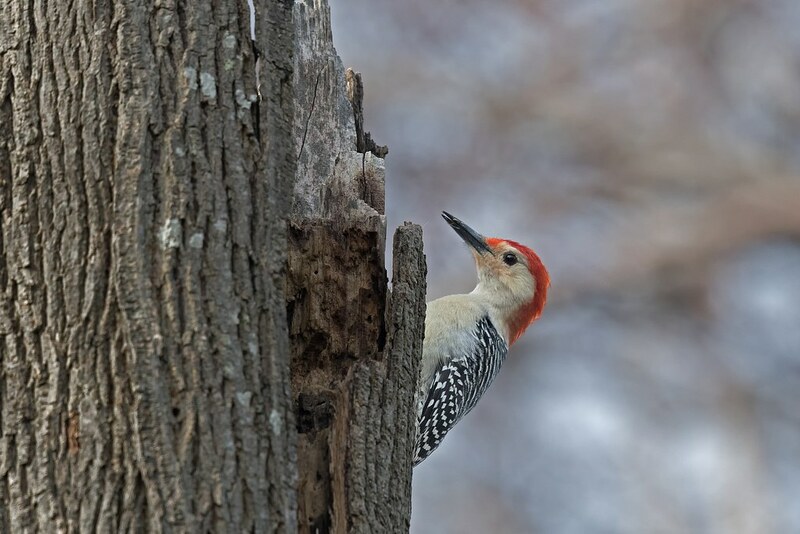 Despite its name, the red-bellied woodpecker (Melanerpes carolinus) can be identified more easily by its distinctive striped back and red and white head than by its faintly red belly. Photo by Ken Thomas. 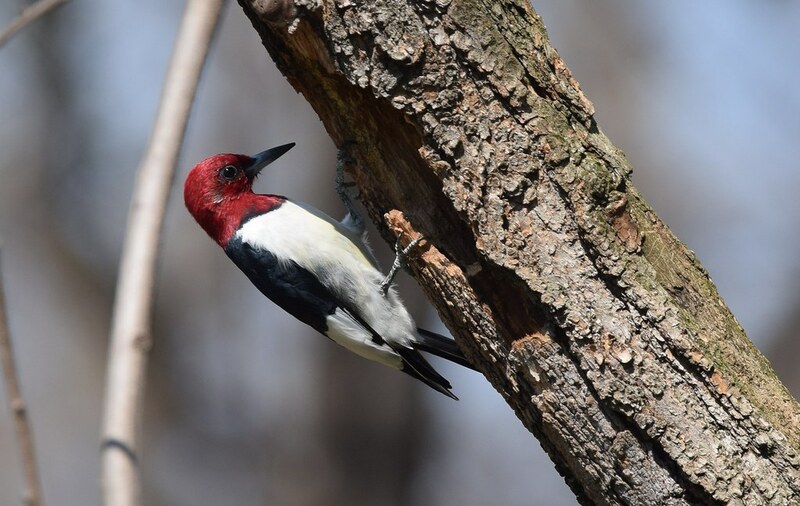 The red-headed woodpecker (Melanerpes erythrocephalus) has much more red on its head than a red-bellied woodpecker, and it lacks stripes on its back and red coloring on its belly. Andy Reago and Chrissy McClarren.